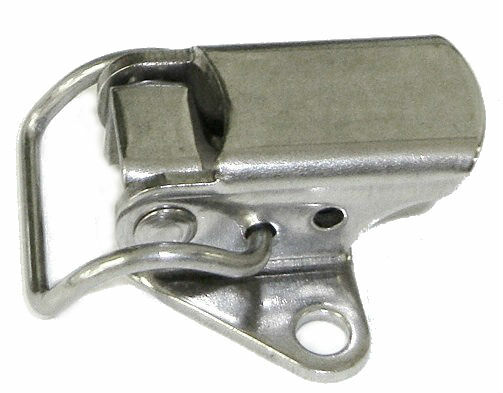 Request a quote for CA-2140 - Draw Latch with Curved Loop Bail today. JBF National latches and catches are manufactured from the highest quality materials. They are designed and tested for ultimate reliability and durability. CA-2140 is manufactured from clear zinc plated steel, passivated stainless steel, or yellow chromate stainless steel. 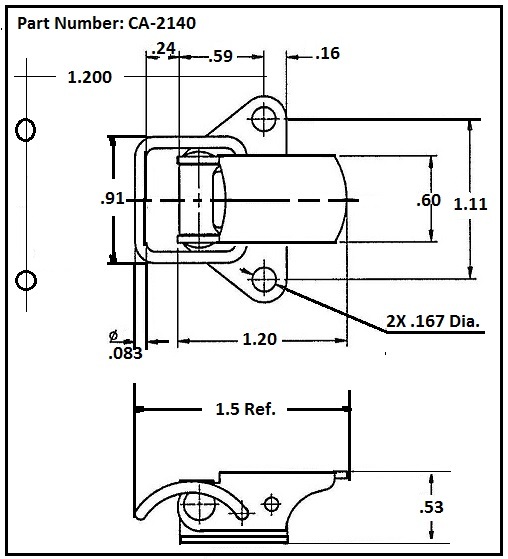 Uses strike SK-2140 Please see component diagram below.